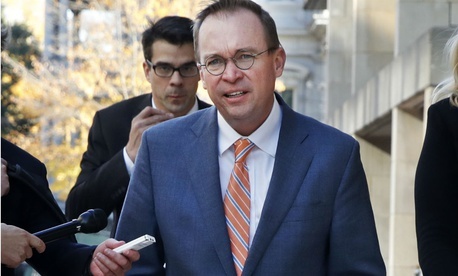 Continued postponements of meetings of the Consumer Advisory Board attached to the Consumer Financial Protection Bureau prompted 11 of the panel’s 25 nongovernmental members to protest acting bureau director Mick Mulvaney’s failure to convene in-person meetings, citing a possible violation of the 2010 Dodd-Frank Financial Reform Act. In a Monday conference call, the subset of the consumer advocates, industry representatives and academics on what the agency calls its “crowdsourced” body expressed concerns about the dramatic changes in policy and direction under Mulvaney—who doubles as President Trump’s budget director and who is a longtime critic of the bureau’s very existence. Specifically, they protested that the only interaction the full slate of CAB members has had with Mulvaney was a phone call on March 6, 2018, for 20 minutes. That contrasts, they noted, with their deep involvement early in the bureau’s seven-year history in addressing such mission issues as debt collection and mortgage abuses. The diverse experts on the board, its members noted in two letters to Mulvaney this spring that went unanswered, come from many regions and represent a diversity of races, ethnicities, ages, and genders. “This vital information from diverse groups is unavailable in any other forum and can lead to important interventions before serious harm is done to American families and the economy,” they said on Monday. Immediately following their press call, Mulvaney sent the group a letter saying “there is no cause for concern,” though the meeting scheduled for June 6-7 was canceled. The advisory board’s members, a third of whom are replaced yearly, fear that Mulvaney will appoint “partisans who share only one viewpoint. The result will be a less robust body,” they said.